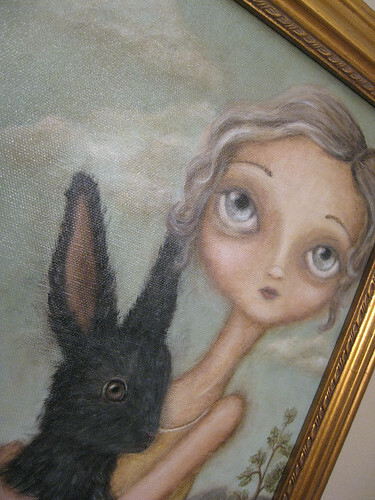 Ingrid and the grey bunny are quite a pair! Soft spoken and a bit shy, people often underestimate Ingrid. 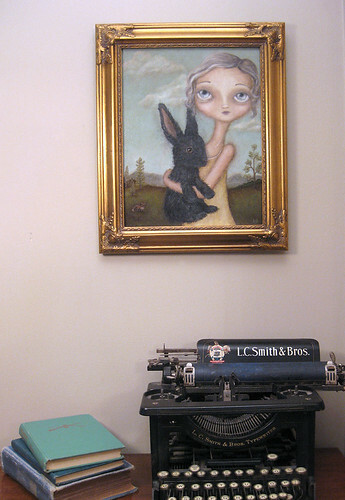 She might not say much, but she’s a keen observer, an excellent listener and fiercely loyal – much like her rabbit. They both enjoy sweets, biscuits and listening to soul records while doing crossword puzzles. 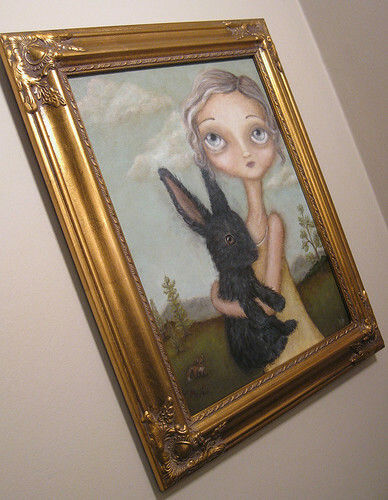 I painted Ingrid in 2011 using acrylics on 11×14 canvas. 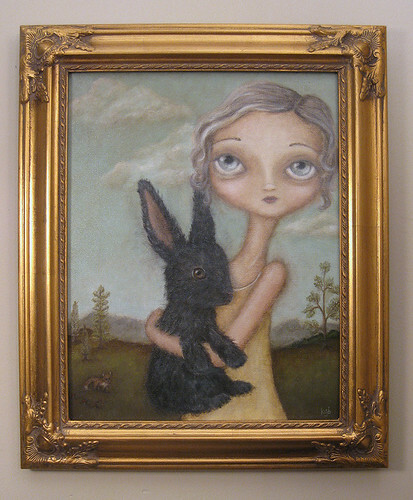 With the gold frame the size is 14.5″ x 17.5″. She’s been coated with UV protective varnish and is ready to ship off to her new home!